Changes and transitions are a regular feature in today’s competitive business world. However, change and transition are two separate terms and are distinct from each other when it comes to their significance in business. 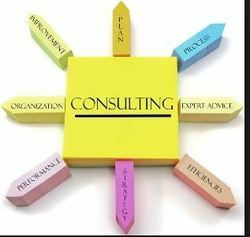 We offer the most reliable Management Consultancy Services to various Corporate Houses, Banks, MNC's, Exporters, Societies, NRIs, High Networth Individuals, Real Estate Developers and so on. Extensive market research is conducted by the team of experts to render the best Management Consultancy Services in the industry at the most reasonable rates. An affidavit is a written sworn statement voluntarily made by an affiant or deponent under an oath or affirmation administered by a person authorized to do so by law. Such statement is witnessed as to the authenticity of the affiant'signature by a taker of oaths, such as a notary public or commissioner of oaths. - Projections of Working Capital reqts. In today’s global and dynamic economy, a lean and agile supply chain is not an option but a necessity. 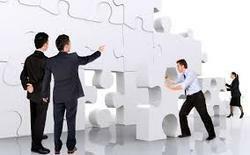 However, the objectives of leanness and agility can be in conflict. To emerge successful despite the ever-increasing complexities of business, a fine balance of techniques is required. This is where we at Trinamix comes in. - Financial management planning and financial policy determination. - Capital structure planning and advice regarding raising finance. - Preparing project reports and feasibility studies. - Preparing cash budget, cash flow statements, profitability statements, statements of sources and application of funds etc. Having a well defined strategy for growth and a blueprint for the future is a good start, but this is not enough to transform the organization. To borrow from Chip & Dan Heath, it is not enough for the rider of an elephant to know where to go, no amount of muscle power will move the elephant. PBC provides various financial and documentation services for incorporation of a business entity, financial arrangements, market and feasibility study, wealth planning, budgeting, variance analysis and management reporting.